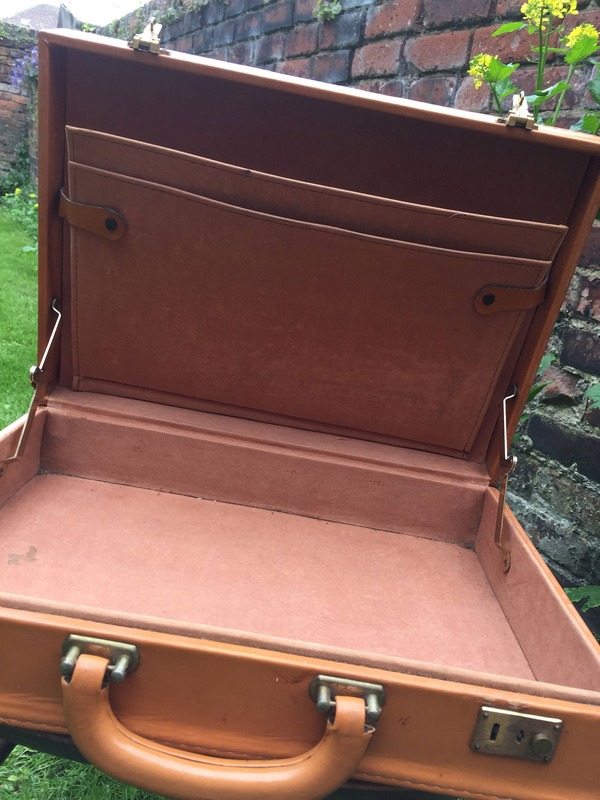 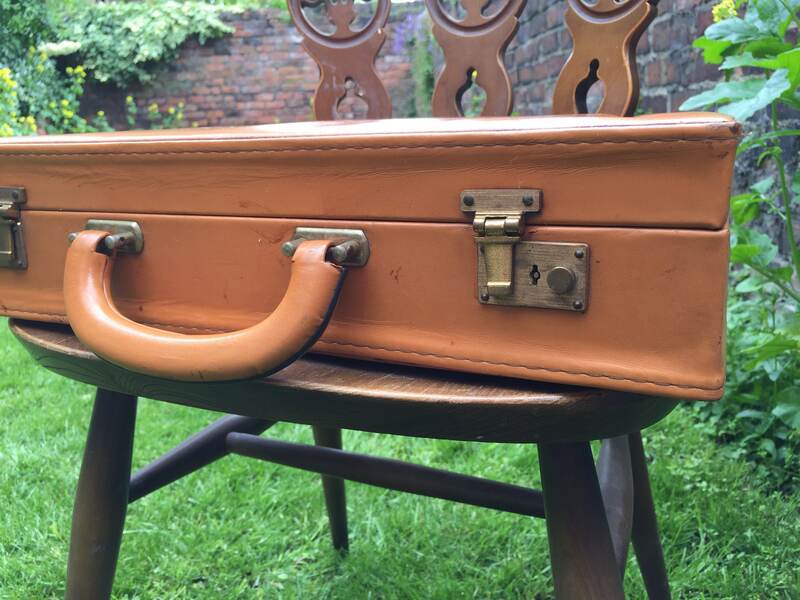 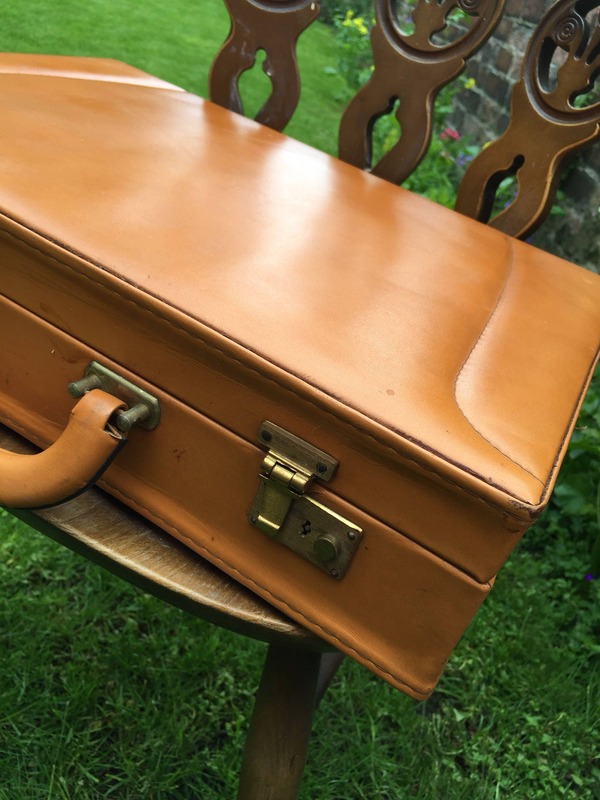 A vintage camel brown/tan brief case circa 1970's. 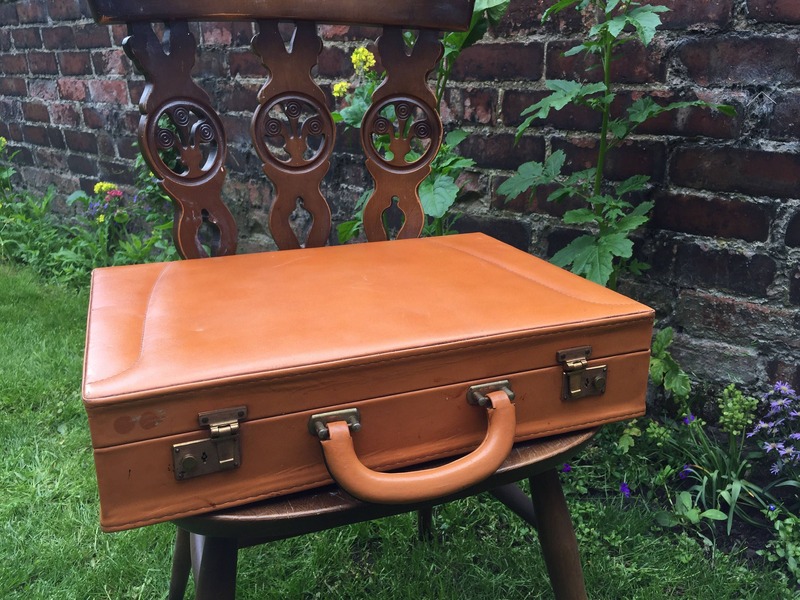 Fully functional and can be used decoratively or as a working briefcase. 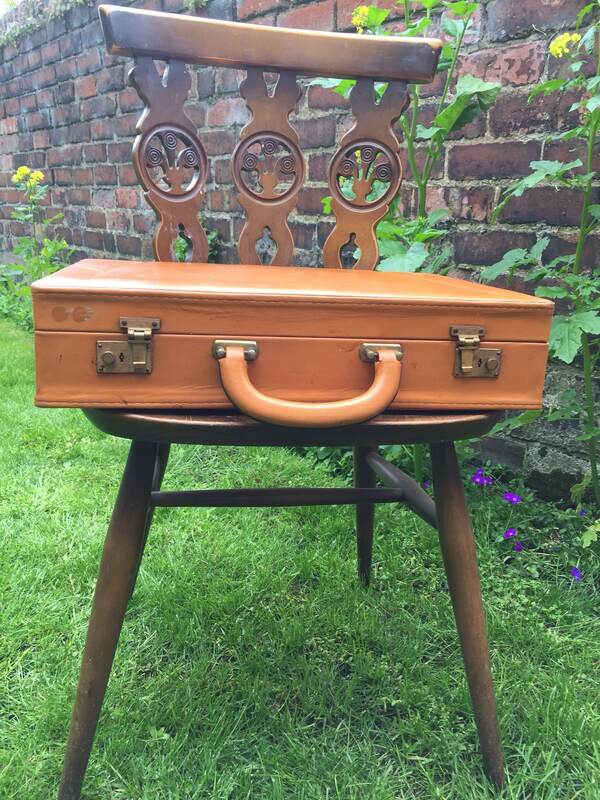 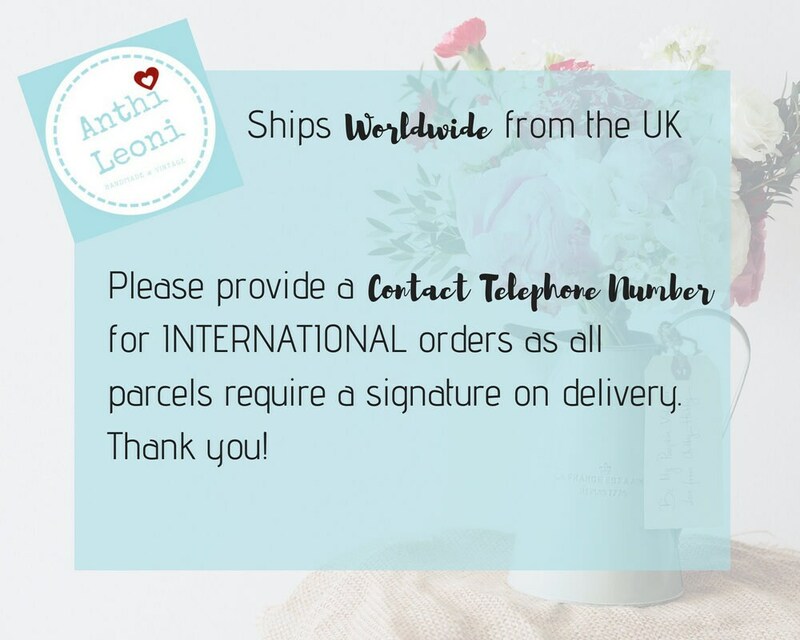 Would also be ideal for a retro style wedding card case, photo prop or for interior decor.